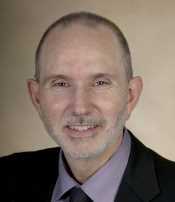 Donn Posner, PhD, certified behavioral sleep medicine specialist, is an adjunct clinical associate professor in the Department of Psychiatry and Behavioral Sciences at the Stanford University School of Medicine. He is working as a clinical/research psychologist at the Palo Alto VA. Prior to his role at the VA, he spent 25 years serving as the director of clinical behavioral medicine for Rhode Island and Miriam hospitals and was also the director of behavioral sleep medicine for the Sleep Disorders Center of Lifespan Hospitals. For 20 of those years, Dr. Posner served as the primary supervisor for a rotation of the behavioral medicine track of the clinical psychology internship at Brown. He also mentored post-doctoral fellows and lectured on behavioral sleep medicine and anxiety disorders to interns, fellows, and residents in internal medicine and psychiatry. In addition, he was a consultant for the Veteran’s Administration roll out of CBT-I and trained VA clinicians across the country in the implementation of this treatment. Dr. Posner is one of the authors of Cognitive Behavioral Treatment of Insomnia: A Session-by-Session Guide (New York: Springer/Verlag). 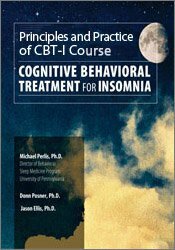 The book is intended for clinical trainees, and non-insomnia sleep specialists, as well as more experienced clinicians from outside the sleep medicine field, who wish to learn how to provide empirically validated cognitive behavioral treatments for insomnia (CBT-I). He is a member of the American Academy of Sleep Medicine and became one of the first certified behavioral sleep medicine specialists recognized by that group. Financial: Donn Posner is adjunct clinical associate professor at Stanford University of Medicine. He is a clinical researcher for Palo Alto Veterans Institute for Research. Dr. Posner receives a speaking honorarium from PESI, Inc. Non-financial: Donn Posner is a member of the American Psychological Association; Association for Behavioral and Cognitive Therapies; and the American Academy of Sleep Medicine.